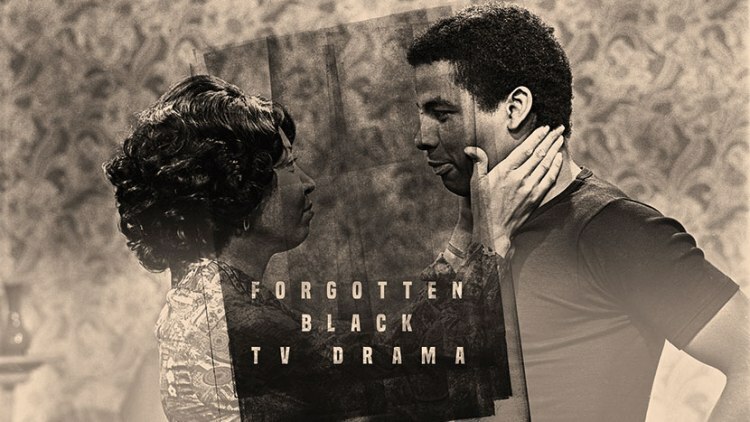 Following two successful seasons of Forgotten TV Drama at BFI Southbank in 2015 and 2017, as part of the AHRC-funded Forgotten TV Drama research project, the Centre for the History of Television Culture and Production in the Department of Media Arts at Royal Holloway has co-curated another season, this time of Forgotten Black British Television Drama, running throughout February 2019. Programmed by Lez Cooke, Honorary Research Fellow in the Department of Media Arts, Co-Investigator of the AHRC project and the author of several books on British television drama, and Stephen Bourne, author of books on black history and culture, the season showcases the work of some of the most outstanding African and Caribbean writers of their generation, such as Jan Carew, Sylvia Wynter, Barry Reckord, Michael Abbensetts, Jamal Ali, Buchi Emecheta, Caryl Phillips, Mustapha Matura and Trix Worrell, and features pioneering black British actors including Lloyd Reckord, Horace James, Don Warrington, Cleo Sylvestre, Thomas Baptiste, Norman Beaton, Carmen Munroe, Rudolph Walker and Mona Hammond. There will also be the first screening since 1961 of a play written for the legendary American entertainer Sammy Davis Jr in a rare dramatic role. The season opens on Monday 4 February with a screening of Trix Worrell’s Just Like Mohicans (1985), which won Channel 4’s Debut ’84 prize for best script, followed by a panel discussion featuring Trix Worrell, screenwriters Daniel Fajemisin-Duncan and Marlon Smith, actor Susan Wokoma (work permitting) and season co-curator Stephen Bourne, chaired by broadcaster Brenda Emmanus. A screening of two dramas by Barry Reckord on Monday 11 February will be introduced by season co-curator Lez Cooke, producer Tara Prem, script editor Peter Ansorge and actor Don Warrington (work permitting) and it is hoped that other writers, directors and actors will attend some of the other screenings. Commenting on the season, Lez Cooke, co-curator and Honorary Research Fellow in the Dept of Media Arts, says “The Forgotten Black TV Drama season presents an opportunity to rediscover some neglected dramas from the past, many of them not seen since they were first broadcast, and to participate in a debate about the present opportunities and future possibilities for black British drama in a rapidly changing digital landscape”. John Hill, Professor of Media at Royal Holloway, Co-Director of the Centre for the History of Television Culture and Production and Principal Investigator on the Forgotten TV Drama project, adds : “Although the funding for the Forgotten Television Drama has now ended the Centre for the History of Television Culture and Production is maintaining its commitment to research into, and making publicly available, television drama that has been forgotten or critically neglected. We are therefore delighted to shave been involved in the curation of a range of original and intriguing black British dramas that deserve to be better-known”.